Welcome to my Blog! I'm so excited and happy that you've stumbled across my site and are taking the time to explore. I hope you'll find some great resources on here to help you with your health and fitness journey or growing your own empire of #GirlBosses! Allow me to introduce myself. My name is Julie! I'm soon to be 30 years old and I am a One Star Diamond Beachbody Coach. So what does that mean? It means that about a year ago, I threw caution to the wind and decided that there was a better way to live my life, a better way to work, that I had the ability to help people, and create a future I could be proud of! It means I work hard every day on my health and fitness goals, but not only that, I help other people to do the same. I have grown a wonderful team of women who are creating their own financial freedom working on their fitness and helping others do the same. What I love about Beachbody is how much we focus on paying it forward. We are truly a community that aspires to see others WIN whatever their goals may be and I couldn't be more proud to call myself a coach! But let me skip back a beat and fill you in on how I got here! I’m a Northern Ireland native who grew up in the best city in the world, Belfast (shout out to Game of Thrones!). I am blessed to have dual nationality and currently living in Southwestern Pennsylvania. A little about me, I have an Irish dad and an American Mum, and in 2005 my family decided to move back to the area my mum is originally from. Right around the time I was due to start college. Over the years I’ve fluctuated with my weight, as many women do. College started off great for me but by the end I definitely noticed a change in my pictures, how my clothes were fitting and how I was feeling. My graduation pictures should be a source of pride at what it took to get me to that point, and yet I look at them disappointed with the image looking back at me. After college I moved to NJ and sought out the help of a personal trainer. That combined with some Aeroboxing and Zumba classes helped to get me into the best shape I had ever been in, but fresh out of college I could not keep up with the expense of a personal trainer, and to be honest I found the meal plan I was on really affected my mood and made me a miserable person. I felt that I looked great, but inside I was obsessing about food and emotionally not in a great place. Of course, I put the weight back on. This is where my Coach Melanie came in. I came across Melanie’s website most likely looking for healthy recipes and noticed she mentioned something about free coaching. I decided to contact her and she told me about the private online support groups she runs that provide clean eating tips, fitness information, motivation, support and accountability to help reach their health and fitness goals. I had Insanity at home but had been too chicken to try it out. Melanie invited me to be a part of her next group to help support me through the process of giving Insanity a shot and I accepted. I also started drinking Shakeology each day. Drinking a shake for me each morning is something I had been doing for at least a year prior. The convenience of being able to blend it up and drink it in the car on the way to work was perfect for me. I decided to switch out my generic, whatever the guy at GNC recommended shakes and give Shakeology a shot instead. I LOVED it. I’m a chocoholic and went on a rampage with the recipes you can make with Shakeology’s chocolate powder. 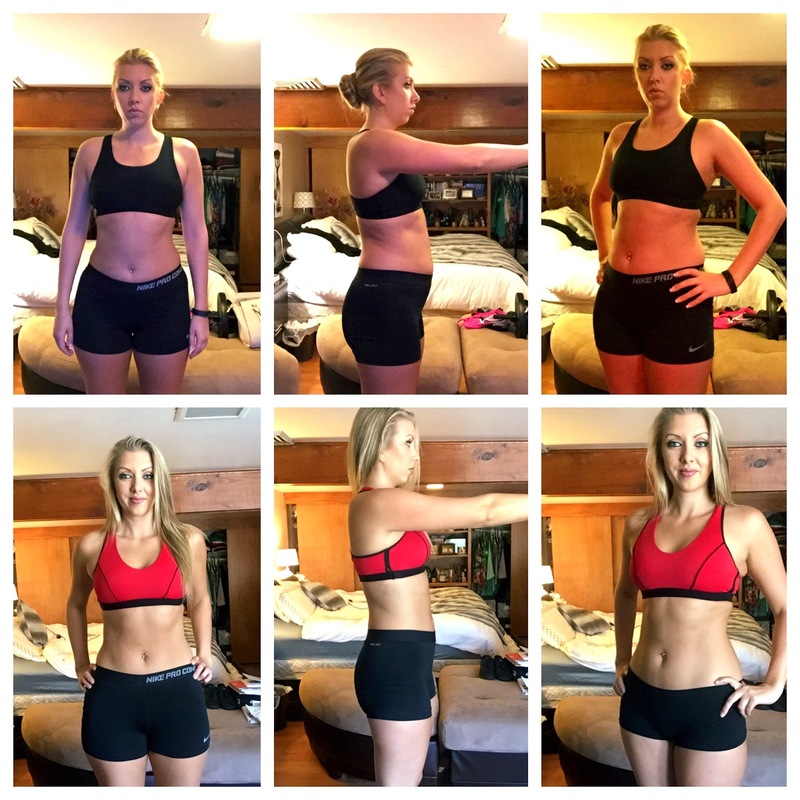 Throughout periods of my working out prior to this challenge group I would convince myself that I was eating healthy, and although I wasn’t necessarily eating 100% clean I thought I was eating pretty. For some reason though, my stomach would constantly have issues and I couldn’t figure out why. Shakeology has helped an incredible amount with not only this but my energy levels. I felt so much happier and more comfortable each day from drinking this magic Shake (which really isn’t magic at all, just pure goodness in a powder form) and the chocolate flavor helped curbed many of my sweet tooth cravings. 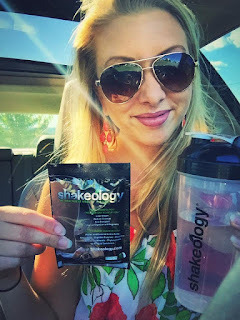 Shakeology is not only the best meal I could possibly get into my body each day but it did wonders for me and helped so much with my weight loss. To read more about my experience with my first round of Insanity, check out my results post here. Fast forward 2 years and after a major move, a lot of stressful situations and putting some weight back on again I returned to the program that did it for me the first time. 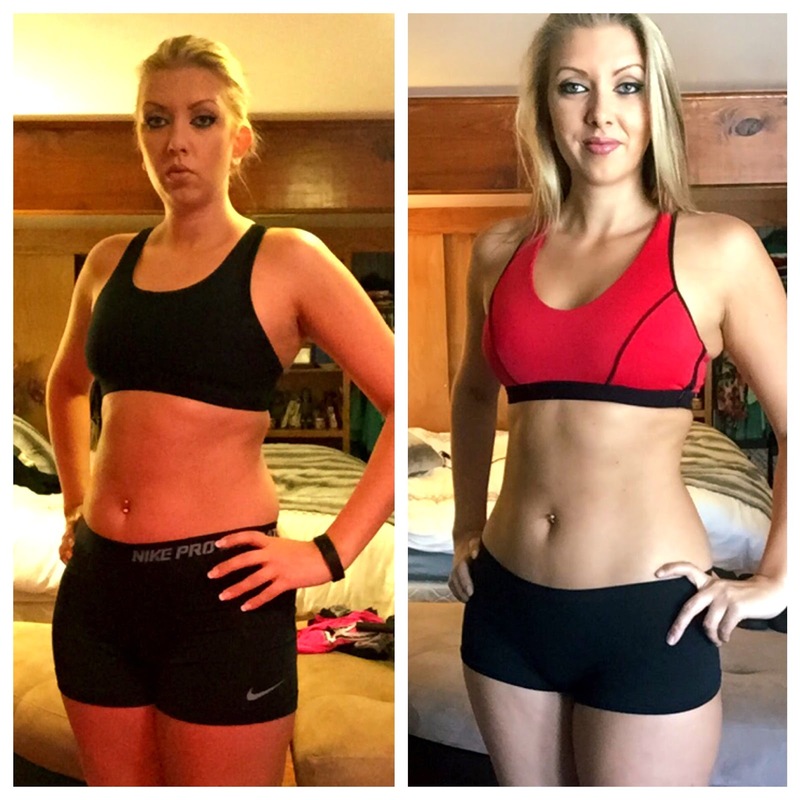 Summer 2015 I reached back out to my coach for help with Insanity and asked to join another challenge group. THIS time though, I knew what I was in for and wanted to maximize my results. Not only did I have Insanity, but I had an amazing new program called the 21 Day Fix which has been making waves across the world helping people to completely change their lives. The one thing that had remained consistent in my life for the prior 2 years was Shakeology. This was a non-negotiable for me and something I continued to drink on a regular basis because I know just how amazing it is for me. With Shakeology, Insanity, the 21 day fix meal plan and the support of my coach and a challenge group, my results blew me away. I lost 15lb and 12inches! From going through this experience, a fire was lit within me once again about how impactful a challenge group really is in helping people to stick to their programs and most importantly SEE RESULTS! I love the accountability, motivation and support that is provided, because without it, I know my results would not have been the same. It would have been easier to skip a day or have another cheat meal because who would know? Being a part of a challenge group has helped not only me but every other challenger to commit to and achieve our goals. Now I am truly ready to pay it forward and help make an impact in the lives of others who are trying to make a change. Allow me to welcome you to my personal blog, and invite you to join me in one of my upcoming challenge groups so you too can get the support you need to reach your goals. This blog is a story of my life. It will feature my trials and errors, my successes and accomplishments. It features recipes, tips, success stories, encouragement, enthusiasm, my fun adventures and of course, my furry friends! We are all a work in progress, but we can support each other and I am thrilled to be paying it forward. If you would like to receive more information on free coaching from me to help you on your own health and fitness journey, please complete the application below.